Printed circuit board is the most important part of electronic products. Since these boards play a crucial role in everything from computers to calculators, the choice of PCB materials should be seriously cautious. 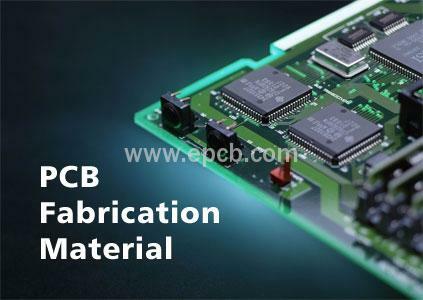 As an increasing variety of daily electronic components begin to rely on the circuit board, competition is developing towards simpler but more compact PCBs that also lead to the development of material PCBs. With PCB materials, circuits can be routed between different components. Metals that facilitate the transfer of current between boards and any attached are components is called solder, which also serves a dual purpose with its adhesive properties. Printed circuit board generally is made of four layers, which they are heat laminated into one single layer. The material used in PCB from top to bottom includes silkscreen, soldermask, copper and substrate. The substrate is made of fiberglass, also known as FR4, and the FR letter here stands for flame retardant. The substrate layer provides a solid foundation for PCBs, and its the thickness can vary depending on the use of a given circuit board. The second layer of a PCB is copper, which is laminated to the substrate with a mixture of heat and adhesive. The copper layer is thin, and on some boards there are two such layers - one above the substrate and one below the substrate. PCBs with only one layer of copper is often used for cheaper electronics devices. Above the green solder mask is a silkscreen with added letters and numerical indicators that make a PCB readable to tech programmers.This, in turn, makes it easier for the electronics assembler to place each PCB in the proper place and in the right direction for each component. Silkscreen layers are usually white, but red, yellow, gray and black are sometimes used as well.